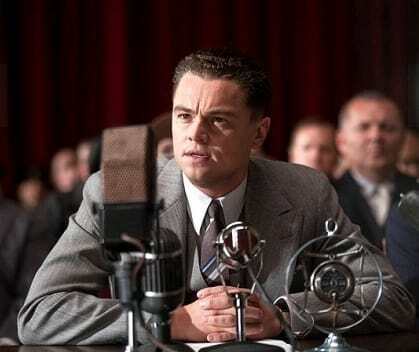 There are roles that actors are born to play and for Leonardo DiCaprio, one of those is that of him playing J. Edgar Hoover in Clint Eastwood’s biopic of the controversial leader of the FBI. In anticipation of Imagine Entertainment's November release of J. Edgar, the studio has released the first photo of DiCaprio as Hoover. J. Edgar explores the private and very public life of the man who held the position of head of the FBI longer than anyone in history. He notoriously kept files on some of pop culture's greats including John Lennon. Whether those facets make it into the Eastwood film is hard to say, but what is clear from this first still from J. Edgar is that DiCaprio is sinking his teeth into the role. DiCaprio is joined in J. Edgar by an all-star cast including Armie Hammer, Judi Dench, Ken Howard and Josh Lucas.